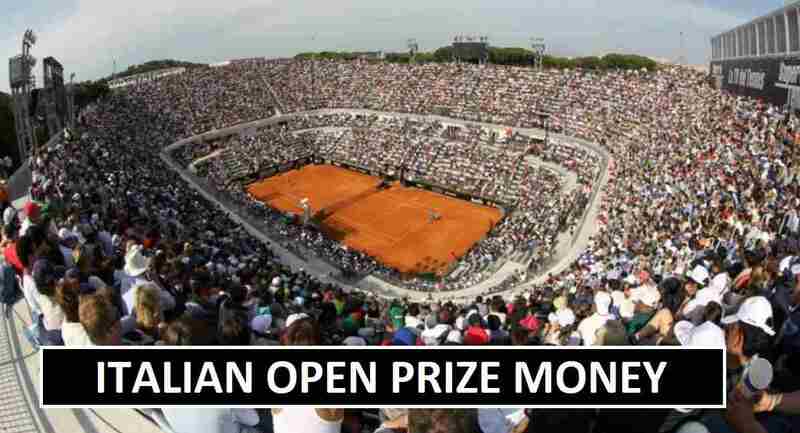 Italian Open 2018 the tennis competition began on 14th May and the final match take place on 20th May, All matches played in Rome, Italy at clay court. Rafael Nadal is one of the favorite to win the men competition in the singles. Maria Sharapova and Simona Halep are two contenders for the finals. How much prize money distributed among the Italian Open winners. According to sources, the men singles competition winner will receive the prize money of (€935k) and women singles competition winner will awarded with (€507,100) prize money. Further details of prize distribution you can see in the given table. As you see in the give table that mens double competition winner received (€289,670) and women doubles winner earn (€145,167).